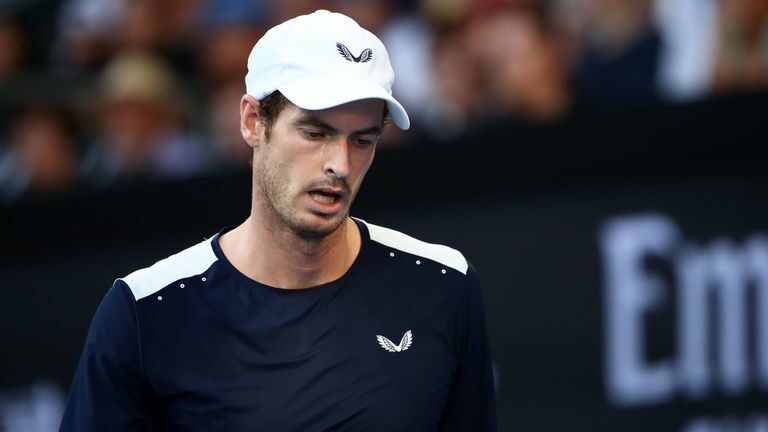 Andy Murray believes British tennis has not capitalised on his achievements, and those of his compatriots, citing a disappointment in his understanding of participation levels in the game. The former world No 1 and three-time Grand Slam champion has enjoyed a decade-plus span of success at the elite level of men's tennis and also led Great Britain to the Davis Cup title in 2015. Murray has spearheaded British success on the Grand Slam stage but both Kyle Edmund and Johanna Konta have reached semi-finals of majors and the 31-year-old questions whether those strides have had an impact on the grassroots. There have been hardly any new indoor courts built in Scotland which is strange. "It hasn't just been about me. We had Johanna Konta in the top 10 of the world, my brother [Jamie] has been No 1 in the world [in doubles], we won the Davis Cup [in 2015]," Murray told Sky News. "Kyle Edmund has done really well the last few years and it has been a really good period for British tennis. My understanding is the participation figures are going down. "There have been hardly any new indoor courts built in Scotland which is strange. "It would be nice when you finish playing to look back and go 'tennis has become a bigger sport, it is more popular, there are more children playing and there are more courts'. "My understanding is that is not the case - I am sure other people may have stats that disprove that." Murray defied pre-tournament expectations to produce a brave performance in a five-set defeat against Roberto Bautista Agut in the Australian Open first round on Monday, having indicated last week his appearance in Melbourne could be the last of his professional career. He has since confirmed he is considering undergoing a second hip surgery, which could end his plans of a final swansong at Wimbledon but one which could also prolong his career. "I would definitely play Wimbledon if I didn't have the operation, because my hip is screwed anyway," he said in his post-match press conference. "I could definitely get myself on the court to play Wimbledon one last time. I could be competitive. "The first option (surgery) makes my life a lot more comfortable and enjoyable, but potentially means I never play again and also miss Wimbledon. So that's what I need to decide. "(Most likely is) probably to have the operation, because if that (against Bautista Agut) was my last match ... I literally couldn't have done any more. It was an amazing atmosphere, it was brilliant. I would be able to deal with that being my last match OK ... I think." We have the Australian Open covered from all angles via our website skysports.com/tennis. On the move? Head to our app for mobile devices and iPad, or follow our Twitter account @SkySportsTennis to join in the conversation.